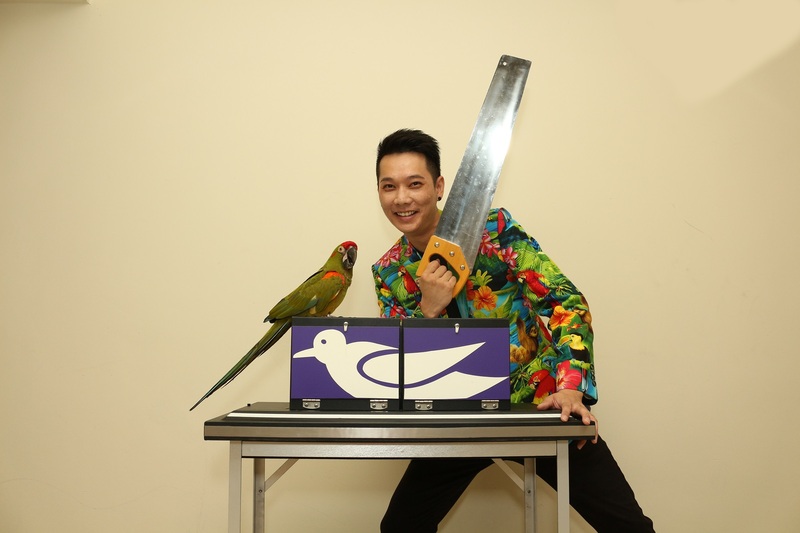 The Magic Empire proudly presents the “Parrot Illusion Show” 2015. Dinner and Dance Event and more. A modern, high-energy magic sequence using blue and gold objects. 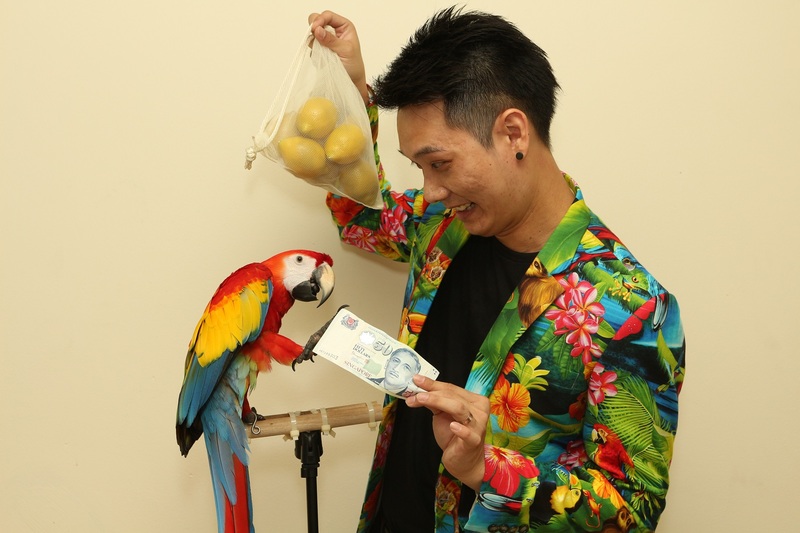 For the climax, Sherman magically produces a 90cm long LIVE Blue and Gold Macaw. Truly breathtaking. A fun filled comedic magic effect whereby Sherman saws his “assistant” (his parrot friend) into half. You’ve seen dogs do tricks. Have you seen a parrot predict the future? Sherman’s parrot successfully predicts the outcome of a card trick under impossible circumstances. 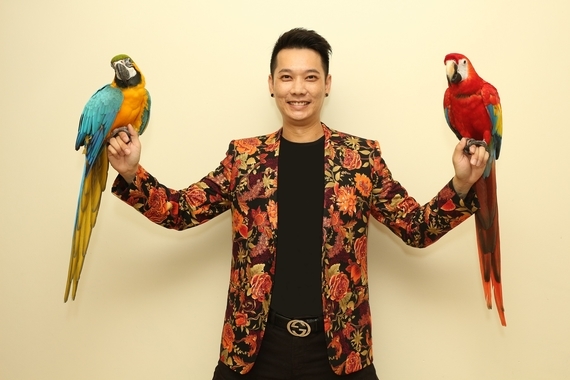 Sherman Tang is a double award winning magician based in Singapore In 2007, he was not only the Champion in the Singapore Magic Circle Close-up/Parlour Competition but also the winner of the Peoples Magician Choice Award 2007. 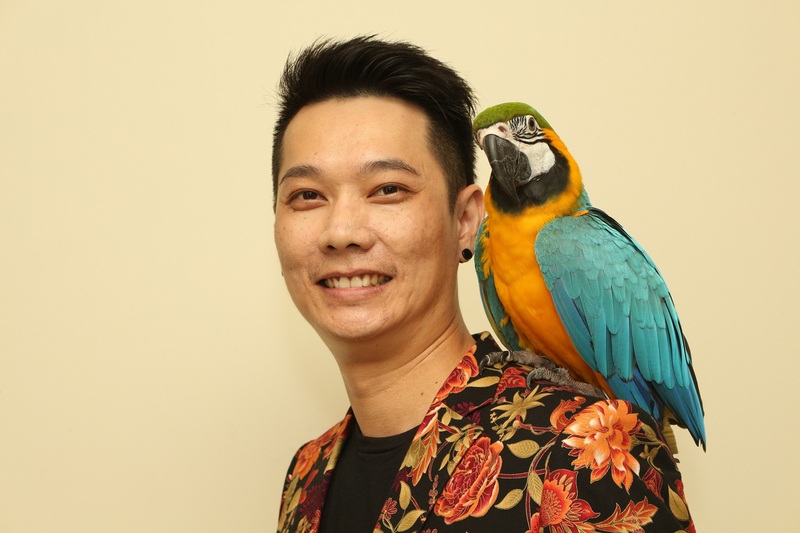 Sherman has over 10 years of performing experience and he has also performed overseas like, Australia, Malaysia, Indonesia, Taiwan and USA. Besides being a technician at his craft, Sherman is also a well-spoken all-round entertainer. His interactive approach to his shows engages the audience – wowing them and entertaining them at the same time. Please type the above text below.